HARARE regional magistrate, Elijah Makomo on Monday gave prosecutors a tongue lashing after they failed to turn up for former ICT Minister, Supa Mandiwanzira's trial while failing to proffer any reasons for their absence. The Zanu-PF MP for Nyanga South is facing criminal abuse of office charges after he allegedly favoured Megawatt company with a government consultancy deal without going to tender. The alleged offence happened during his tenure as government minister. Mandiwanzira also stands accused of appointing his personal assistant to the POTRAZ board without following procedure. Prosecutor Michael Chakandida from the special anti-corruption unit failed to come but instead, sent Venerandah Munyoro, also a prosecutor with the unit, to represent him. "We are reaching a stage where we put the state to terms. We can't keep on remanding the court now and again. We are not a remand court and can the message be very clear to him that the court will not continue to treat him with kid gloves," Makomo said. Tapiwa Godzi, who has been assisting Chakandida, was also absent. The case was remanded to February for trial. The state failed to provide the defence with all papers as ordered by the courts resulting in the magistrate dressing down the state again. "This a clear indication that the state's house is not in order," Makomo said. Witnesses in the case were also nowhere to be seen. 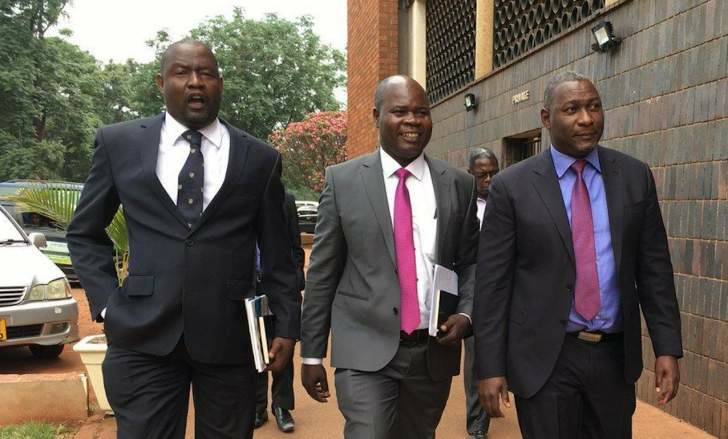 Lawyers representing Mandiwanzira, Advocates Thembinkosi Magwaliba, Brian Hungwe and Selby Hwacha spent the day waiting in the court buidling's corridors with no any communication from the state. The case was only heard after lunch hour before Munyoro turned up only for postponement purposes. According to the state, Mandiwanzira abused his office by awarding a contract to Megawatt Energy, a South African company. The state also alleges that there was communication from NetOne to the central bank on the payment of the company. But according to the lawyers, NetOne provided an affidavit indicating that there was no such correspondence with the central Bank.